A thrilling finish saw Elusive Quality mare Secret Wand claim Sunday's $15,000 Christmas Racing at Bairnsdale 16th Dec 0-58 Handicap (1200m). Coming off a four week freshen following a sub par performance at Moe - Jarrod Fry regained the ride and went one spot better than his previous ride albeit narrowly. Settling midfield, the horse was still looking for a way clear at the 200 metre point but once the gap appeared accelerated brilliantly to put to rest what would have been a hard luck story. Having tried to step the six-year-old out in distance - Sunday's theory to bring her back in trip proved a wise one finding the line solidly. The horse had a chequred campaign leading into the race but did show promise with a placing at the Sapphire Coast first-up and a close-up effort at Traralgon. 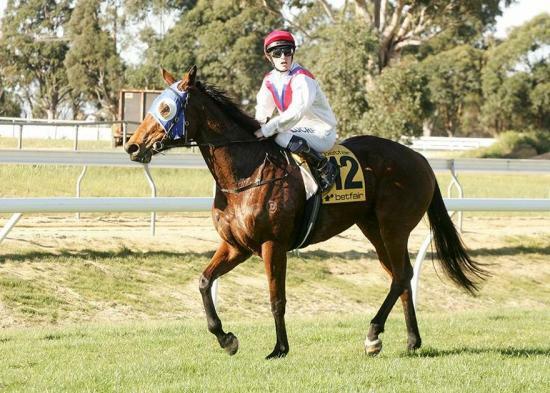 The victory came as the mares second in her 22 start career having registered her last victory at her fourth career start at Pakenham on September 22, 2012. Connections have been patient and hopefully can now reap further rewards.